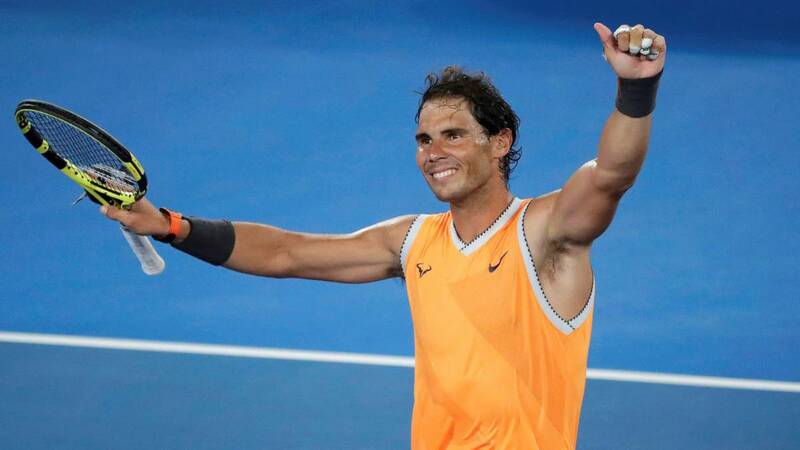 Home Tennis Nadal: "I played a good match, but I can improve"
Nadal: "I played a good match, but I can improve"
The Spaniard, after winning in three sets to Ebden, valued his performance in the second round in the Rod Laver Arena: "Help win in competition." Rafa Nadal desgranó his feelings at the end of the second round match at the Rod Laver Arena. The Balearic comfortably beat the Australian Ebden in three sets (6-3, 6-2 and 6-2) in less than two hours of play. Level: "I played a good match in general. My personal feeling is that I played a good match, I have the feeling that I have not been compared for a long time, I have very little today. " Trust: " Help win in competition. To get out to the game knowing that you play the ball well, every day that I spend on the track is positive and helps me a lot.Every victory is an important advance.From winning the break of the second set I played quite well.There are other things to improve The reverse can be better and a little more confident with the movements of the reaction speed. " Actuación: " I have lacked a bit of reaction speed, but matches like this help me. I have done a lot of winning shots, the service went well with heavier night conditions because the balls do not bounce as much. It is a positive result with many positive things. There is room for improvement, but I think the feeling has been very good ". Comparación con De Miñaur: " It is not easy to say. I have not followed him so closely. The game from the back of the court is similar, but the striking style is different. He throws himself a lot on the ball, as I did when I was younger, but the rest of things are not very similar. He is young and he is playing with great confidence after winning games, he has seven consecutive victories and it will be hard. I need to be ready. Since a couple of years ago we know that we had a good tennis player coming. I think it has improved a lot in the last three years and today is one of the best players in the world, it's reality, so we'll see, it's going to be hard. It is a wonderful talent and very young. It's going to be a fantastic battle. I really believe that he has the opportunity to have a great career, I hope not in the next two nights, but I wish him the best for the rest of the year ". Home: " At the beginning I was slow of reaction, the logical thing when one takes time without competition. Now I'm missing that. I got it right, more by placement, and I did not read it well, I was not coordinating the remains or measuring the speed of the ball. Then I made the break and with a set up, things have gone better, because I felt playing the ball well. I have done some very good shots, details that tell me that I played well, especially in the maximum difficulty shots ".